These are the big announcements from the two-hour event, collected here for your convenience. The eighth major release of Apple's mobile operations system comes with a host of new features for both customers and developers. AirDrop now works between iOS devices and Macs, letting you send items back and forth between the two platforms. Handoff lets you pick up on one device where you left off on another, like beginning an email on iOS and finishing it on OS X. 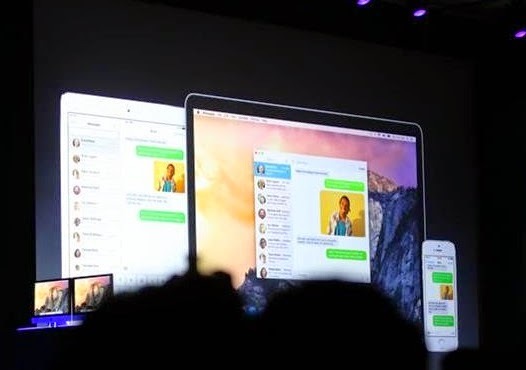 As part of Handoff, your phone calls and non-iMessage text messages can come through your Mac running OS X Yosemite. Notifications now give you the ability to quick reply and take action, from the lockscree, from notifications themselves, and inside Notification Center. Notificaation Center also adds support for widgets from third-party apps. Spotlight search is getting a major upgrade in iOS 8. 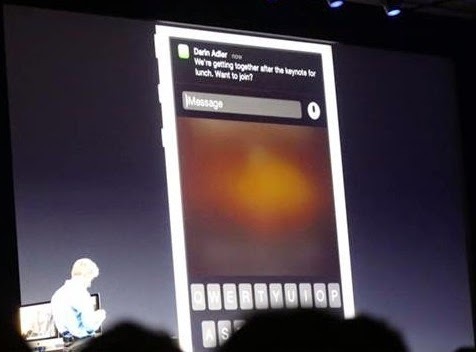 Much like Siri Spotlight will now recommend restaurants, movie theaters, Wikipedia results, and web searches. You can also find items on the iTunes Music and App Stores. iOS 8 is bringing a number of enhancements to the keyboard, most notably predictive word suggestions based on the context of your conversation. The new QuickType row will appear above the keyboard with its suggested words, letting you tap to place the word in your message. QuickType will support fourteen regions at launch. Messages will receive several enhancements. Swipe can now generate specific actions, individual message threads can be set to Do Not Disturb, and photos can be viewed at a glance on a special page. There's now also support for voice messages. There are a number of new enterprise features coming to iOS this fall. These include per-message S/MIME support, VIP email threads with their own notifications, and the ability to mark themselves as "Free" or "Busy". Family Share lets up to six users easily share calendars, reminders, media, and apps. Find My iPhone can be used with anyone in this group, great for family members that have a habit of losing their devices. iCloud is getting simplified, bigger, and more affordable storage levels. The first 5GB of storage will remain free, just as it is now. However, Apple is making the 20GB tier available for $0.99 per month, or about $12 per year, down from the previous price of $40. There is also a 200GB for $3.99 per month, and Apple also says that tier will be available up to 1TB of storage. Siri got it's rumored Shazam functionality, along with some useful other features. You can also now activate Siri hands-free when your device is plugged in. HealthKit will provide a single place for all of your connected health and fitness devices like a activity tracker or heart monitor. 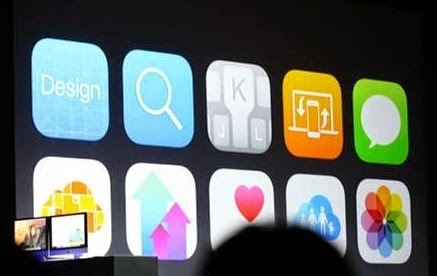 Items using HealthKit will share their data from devices to apps, all at the discretion of the user. Apple is working with Nike and the Mayo Clinic on some HealthKit applications. Photo tools in iOS 8 are getting major improvements. Your photos will be instantly synced across you iOS devices via iCloud. This syncing includes editing, and you can use new smart controls to edit light, color, and the straightness of a photo. Brightness, contrast, exposure, and shadows will all change together intelligently. Apple is making some upgrades to the App Store, including improved search, and app bundles, and more. Trending searches will show users apps that are very popular, a new Explore tab will give you a starting point for app discovery, and developers can now bundle multiple apps together to offer them at a discount with one tap. 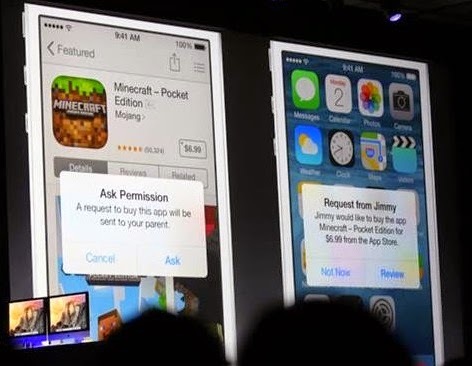 Apple announced that third-party developers will be able to extend their apps functionality to other apps. 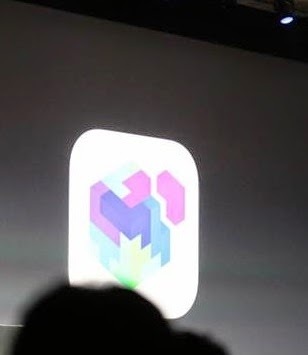 Extensibility runs completely through iOS, keeping apps sandboxed. Extensions will also be available in Apple's own apps, like Safari. 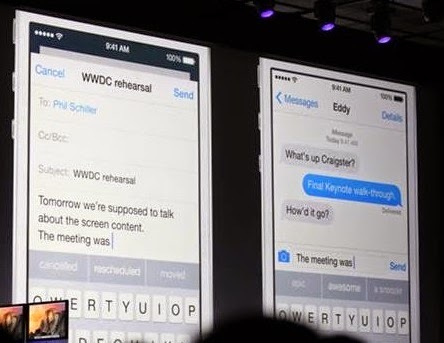 iOS 8 will allow developers to create, and users to install, third-party keyboards system-wide. When installed, these keyboards will be sandboxed, and things like network access will only be unlocked when the user has given their explicit permission. Apple will be rolling out the TestFlight beta testing service to developers soon. Apple acquired TestFlight back in February, and has apparently wasted no time in integrating the service into iOS. Developers will now be able to integrate Touch ID into their apps for authentication. Apple is stepping into home automation, introducing HomeKit to connect to equipment from a number of manufacturers. 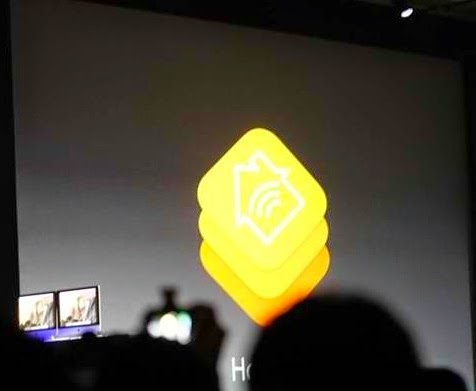 HomeKit creates a unified interface to control different smart appliances. 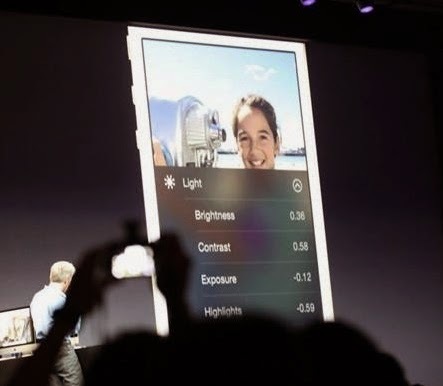 Developers will be able to access an iOS device's camera at a deeper level with iOS 8. Apps can now handle manual control of exposure, white balance, and more. Metal will give developers "near bare-to-the-metal" access to Apple's A7 processor. Metal boasts 10x faster cell draw rates, GPU computation, and efficient multithreading. Swift is an effort by Apple to create a language with the power of Objective-C without all of the complexities of the language itself. Swift still supports old Objective-C code, and developers can still create apps in Objective-C right alongside Swift. 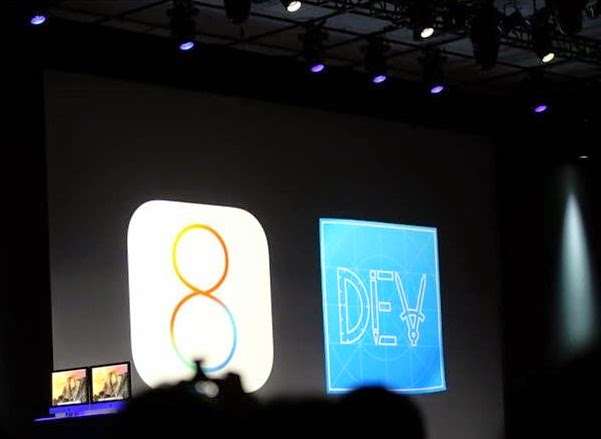 Developers can go to the iOS Develpers Center now and download the beta of iOS 8. The full consumer release will be available later this year. The iOS 8 beta supports iPhones as old as the iPhone 4s, iPads going back to the iPad 2, and the 5th generation iPod touch. 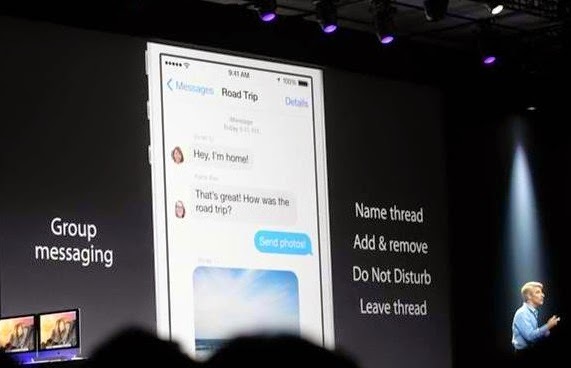 What do you think of the new features in iOS 8? 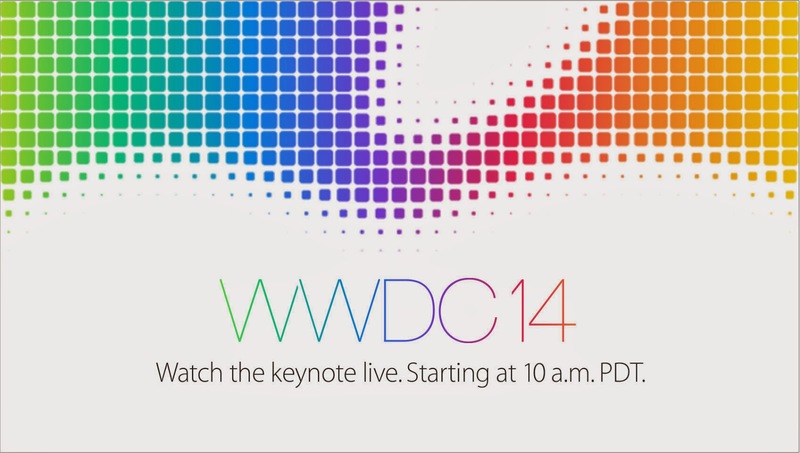 Let us know in the comments section, and stay tuned for all the latest news on iOS 8.